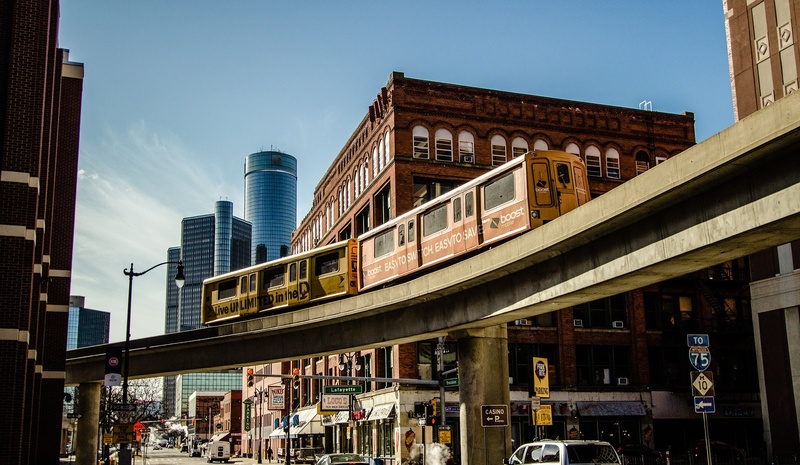 Choosing a local Detroit janitorial company just makes sense and using local commercial cleaning services based right here in the Detroit area is always going to be the better choice. Not only is it a good way to help local businesses and talent in our community thrive, it's better for the community as a whole keeping tax dollars and revenue in the state of Michigan. This isn’t some short-term investment either, commercial cleaners in southeastern Michigan aren’t going to outsource their labor or relocate to take advantage of favorable tax codes or cheap labor in some other state or country any time in the future. So, as long as the local Michigan janitorial service provider is professional, efficacious, and reasonably priced, there is no reason to choose a faceless corporation over a homegrown professional company. Michigan boasts a number of commercial janitorial services that offer exceptional and affordable programs the meet and exceed industry standards. The trick, of course, is finding those companies and separating them from the amateurs and less experienced commercial cleaners that can’t deliver the level of service you and your facility really require. Local service providers are a better, IF a couple of key conditions are met first: professionalism, efficiency, and a clear understanding of the unique needs of your facility. How do you keep your commercial janitorial dollars local and still get exactly what your facility needs? But what does your facility really need and how do you identify those local companies that can provide it? There are a number of issues that seem to cause the majority of problems that Facility Managers experience with custodial and maintenance companies. If you keep your eyes open an on the look out for these hot button, service critical issues when you are choosing your next janitorial services company, you just might wade through the crowded marketplace to find the proverbial needle in the haystack. The largest red flag you can get from any Detroit commercial cleaner is a difficult to understand or unnecessary complex pricing plan. Any company that has a complicated or cloudy pricing plan is either inexperienced or trying to leave room for upcharges and hidden fees, neither something you want. Even worse, without a clear price point, you can’t compare quotes from different companies keeping you from getting the best value for your dollar. When a company provides a clear price for the services they provide, it allows you and the commercial cleaner to keep track of and stay on top of work that has been agreed to. Janitorial service providers are represented by the people that clean your facility, and if their people have problems, you will quickly find that you have problems. As such, if your janitorial company is cutting corners on any of their people processes, this is another significant red flag. Whether it be illegal hiring or even illegal subcontracting, any short cut they take with their staff is an obvious sign that one of the most important aspects of janitorial cleaning has taken a seat on the backburner. Any commercial cleaning company that takes shortcuts with their people is going to take shortcuts with your facility. Security is a priority or it is not, there is no try. It cannot be overstated that the safety of your building and the people that work in it should be the topmost priority of you janitorial company and their staff. What do large national cleaning companies and local Michigan janitorial services have in common? Neither should put you or your employees at risk with illegal hiring nor take any shortcuts or expediencies in their employee screening process. No one wants an office cleaner with a recent criminal history or drug use convictions moving about in their facility. Finally, stay away from local and national companies that ignore employee training, pay lower than market wages or lack effective management to protect your facility from their high janitorial turnover. Reduces the value of the services you get. Increases the likelihood of poor quality work. Introduces steady stream of new office cleaners often resulting in missed, uncompleted work. Weakens the relationship built between on site cleaners and you and your staff. Increases the chance of damaged equipment and material waste—costs likely absorbed by you the customer. Creates both real and perceived security concerns. Increases onboarding costs offset by higher prices passed along to you. One of the most common ways costly on the job mistakes occur is through insufficient training, especially in facilities with unique or specialized needs. We often think of janitorial work as being low skilled, however, in an increasing complex and technologically driven industry, complete and thorough job training is a must. Employees that are given such training are not only much more likely to succeed, but overall report higher job satisfaction and are far more engaged with the work they do. Another great way to narrow down a list of Detroit janitorial companies is to look at the type and extent of job training that they offer. Do they train teams in a formal and consistent manner? Do they utilize smart cleaning? Are they trained to work as a team in a systematic and efficient way? Basic training often isn’t enough anymore, make sure your commercial cleaner offers training that will benefit your facility. Mistakes are bound to happen, it’s Murphy’s Law. Something will always be overlooked or a mistake will be made. The question is, how does your Detroit janitorial company address the error? Facility Managers often comment that they don’t ever realize there is a problem or a problem is reported but then never actually addressed by their janitorial company. If you commercial cleaning company isn’t responsive and on top of things, you are getting suboptimal service and risk easily fixable problems becoming larger. Knowing how to communicate is another indispensable tool that a janitorial company needs to have under its belt. No business is perfect, but what separates the good from the bad is the ability to communicate and rectify if something goes wrong. Not only does this make sure things are quickly smoothed over, but it keeps small problems from developing into much larger ones. A good gauge of a commercial cleaning company is if it actively seeks out your feedback and proactively addresses issues as they arise. Technology drives innovation in every industry and the janitorial and building maintenance industry, unsurprisingly, is no exception to that rule. Advances in equipment and methods reduce labor hours, which not only increases efficiency but also reduces cost. Everything from apps, efficient equipment and processes, reporting software, to improved communication during and after janitorial inspections means that janitorial companies that invest in new tech are going to give you the most bang for your buck. By choosing to work with local businesses, not only do you enjoy a more individualized experience, you help build community, strengthen the local Michigan economy and shape the nature off our communities. You shop and work greener with a greater probability of more local connections with suppliers and employment, keep revenue, jobs and tax dollars right here in Michigan. And you help retain consumer choices by supporting a variety of independent local businesses. And local doesn’t just mean your neighborhood restaurant or your corner autobody shop. Shopping local pertains to our industries and service businesses too. Right here in Michigan, investing your dollars in local businesses like Michigan cleaning services can make all of the difference in protecting the health and strength of our local and state economies. With large national janitorial services company you and your facility are always going to be one among many. Regardless of their intention, national cleaning companies are just structured for the responsive, personalized, agile services that a local Michigan janitorial services company can deliver. Buying local and keeping needed revenue in our state has a considerable impact on every individual who calls Michigan home.